New Handisc.co.uk - Online NOW! Handisc.co.uk has had a winter clean and now gives you even more than before. To celebrate this we are offering a 10% discount on any disc duplication with black thermal or inkjet Print throughout November. Just quote HANDISC10 when you contact us. Also please feel free to forward this to friends and colleagues so they don’t miss out. 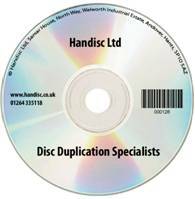 Handisc stock a wide range of branded consumables to keep your duplication equipment going. Most items will ship the same day if ordered before 3pm. We can also guide you through the best options for your system to make sure you produce the highest quality for the best price. Our Media Kits combine professional discs & approved Ink at a discounted rate. · Rimage Prism Vs Microtech Xpression – How do the leading thermal printers compare?